It's so hard to wake up so early again today after the break. Doing revisions with my boys and marking their papers the past few days is giving me a headache. 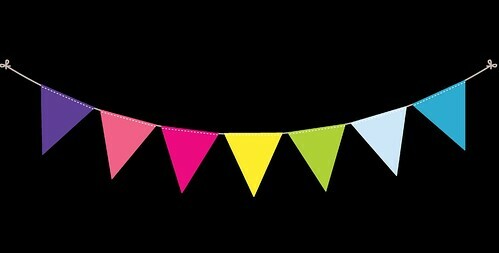 I can't wait for their exams to be over, have to hang in till next tuesday. Ganbatte! Have you watched The Addams Family before? There has been many adaptations of it throughout the years. I'm not a fan of the series, I've only caught a few episodes here and there. 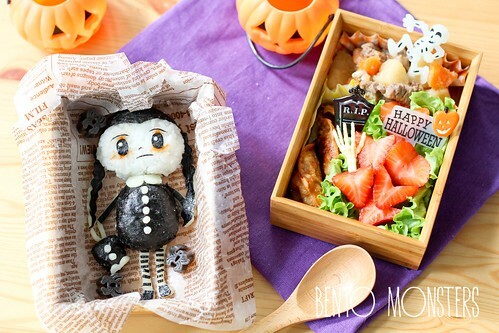 My boys have never watched this before, so I showed them some pictures of Wednesday Addams when I made this bento. 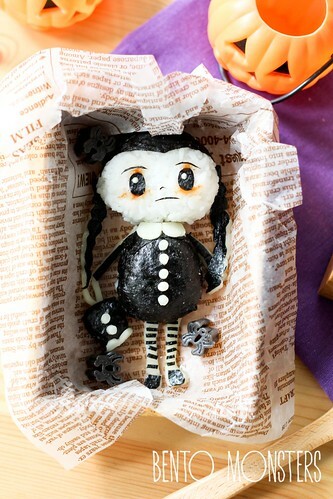 Wednesday is made from rice, nori, cheese and ketchup. The side dishes in the other bento box were Japanese beef stew, gyoza, lettuce and strawberries. 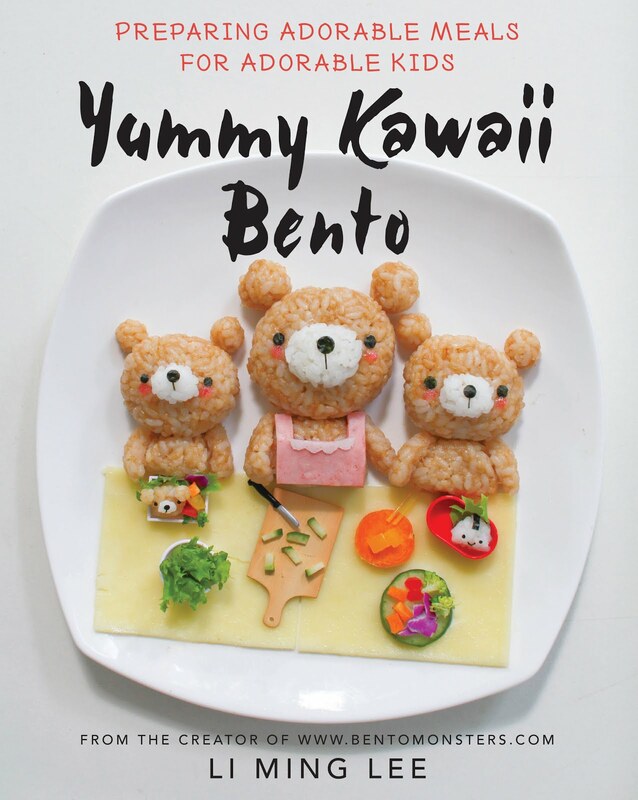 Love this bento! 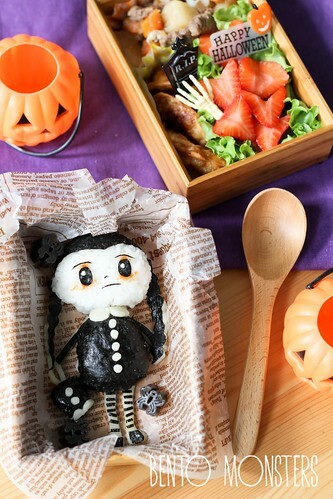 I've been looking around for the Halloween pasta too but end up having to order from overseas. I love this Ming, and I always admired your nori work, so neat! Yes, I see the spiders pasta, looks cool! Sooo cool~such a lovely character.